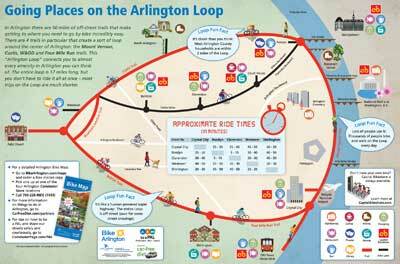 During the nice weather months I bike the loop 3-4 times a week. For me it’s a 20 mile ride door to door. It’s a pretty interesting ride. 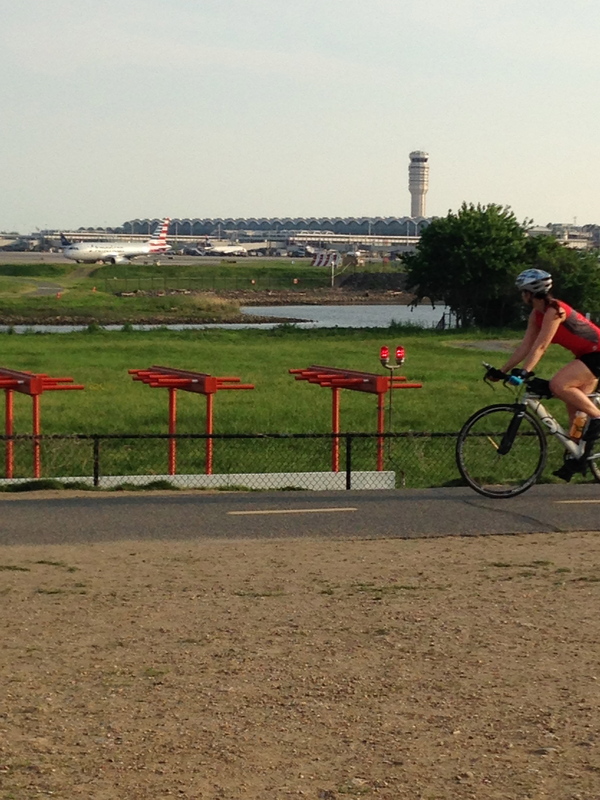 Here are some photos from some recent rides. 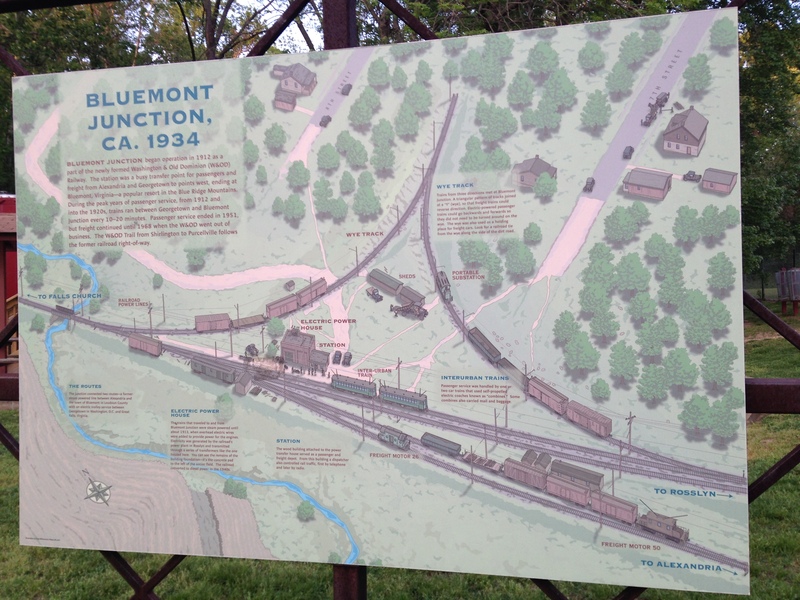 Bluemont is neighborhood in Arlington. 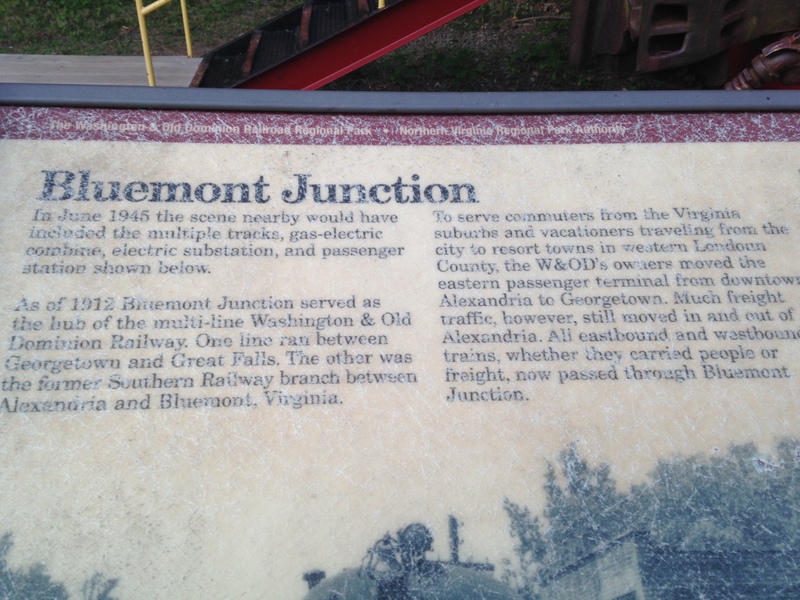 It was a railroad junction and there is a stop along the trail that tells you all about it, along with a railroad car you can check out. 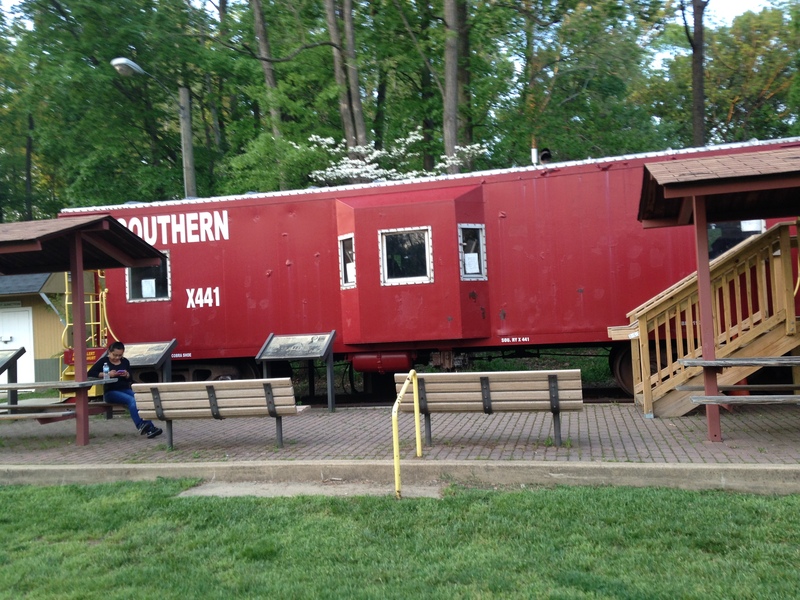 In Bluemont Park you can always see a ball game, or watch a tennis match. 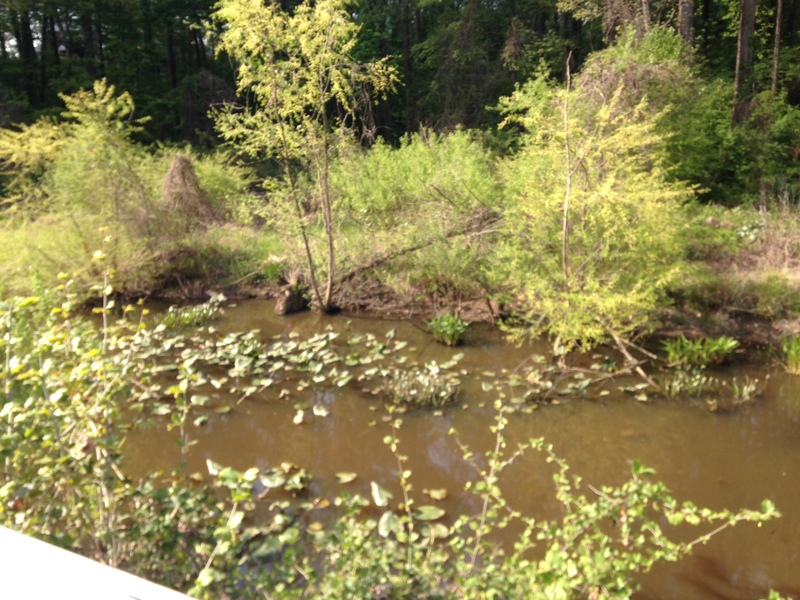 Here is a stop about 3 miles into my ride. 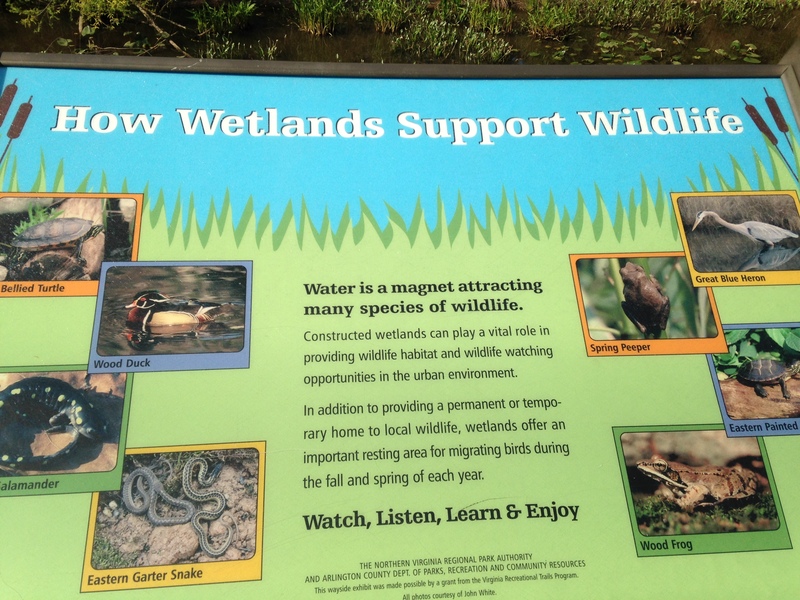 It’s a man made wetland where you can see turtles, frogs and an occasional heron. 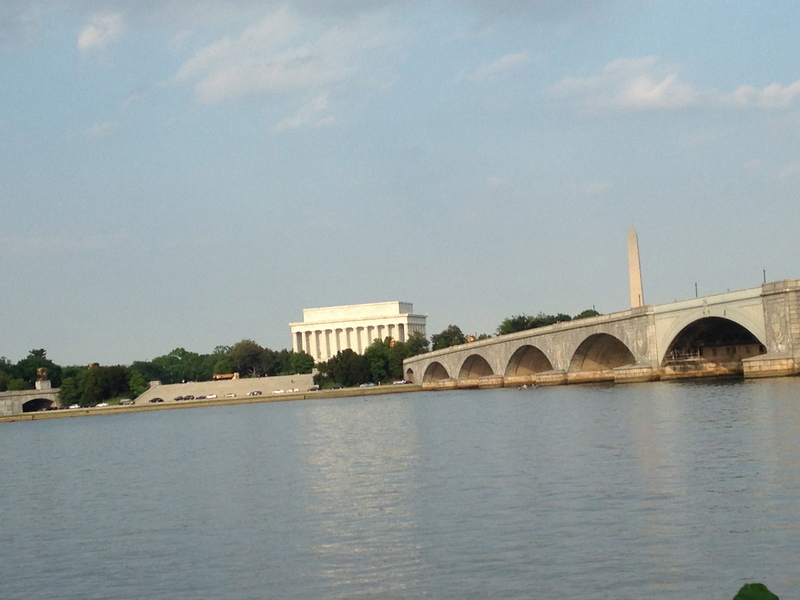 Riding along the river. Do we live in a great place or what? 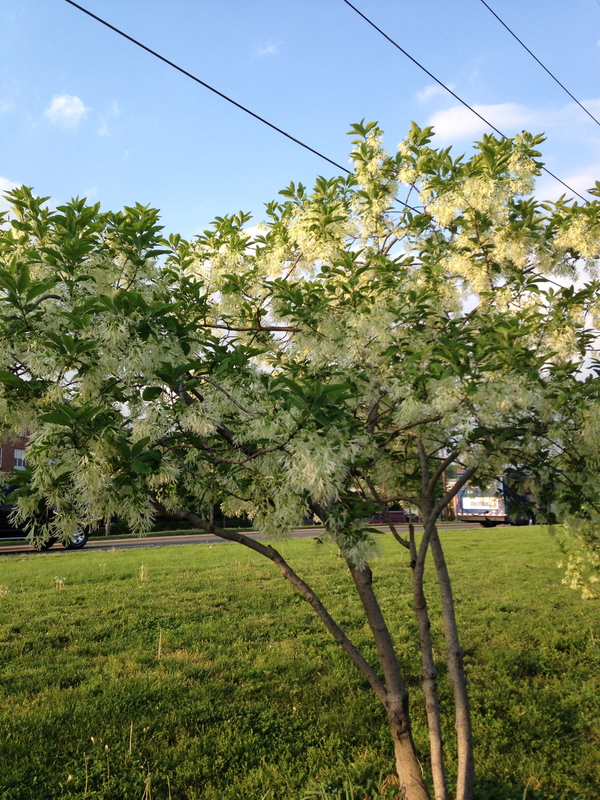 I just liked these trees. 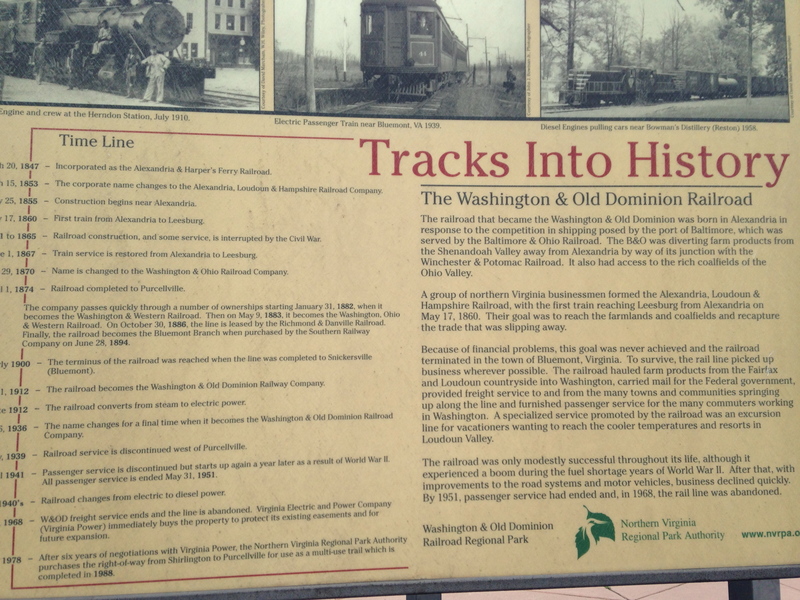 Not too far from Shirlington. 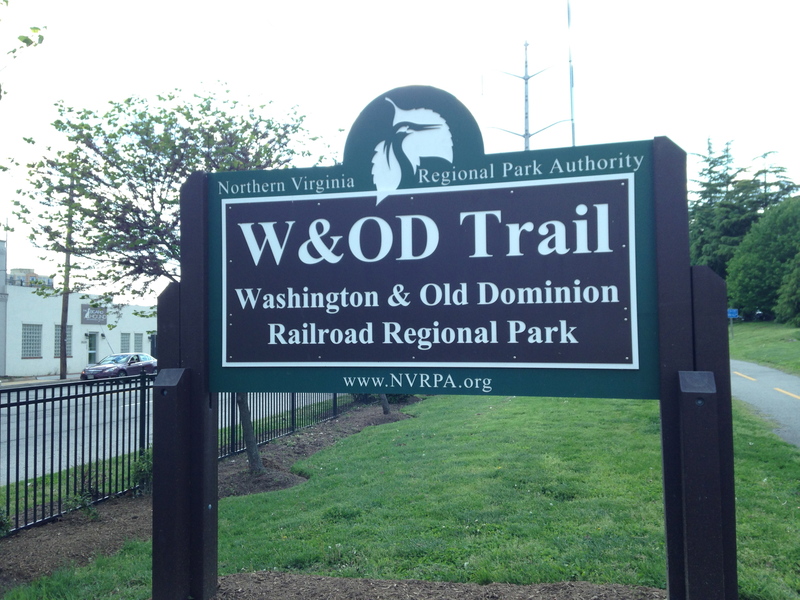 Rounding back to the W&OD trail head. 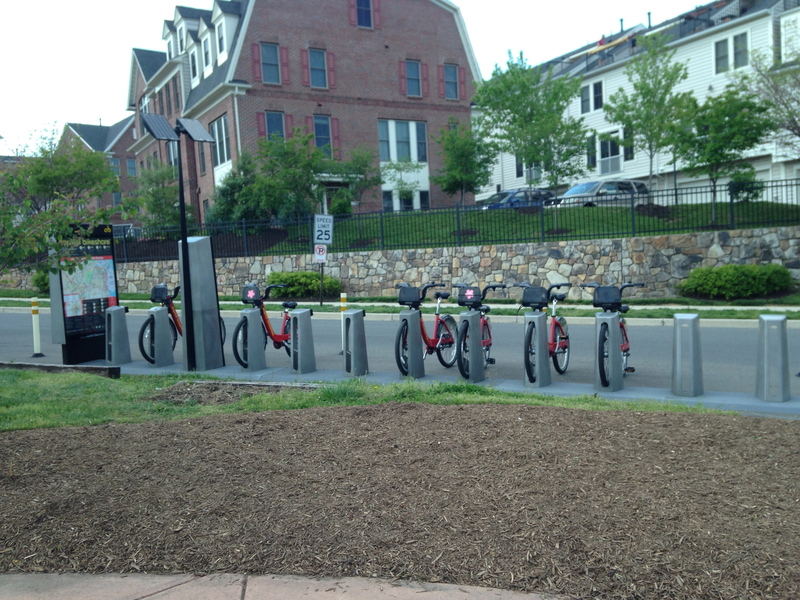 Capital Bike share bikes and Shirlington Crest townhomes in background. 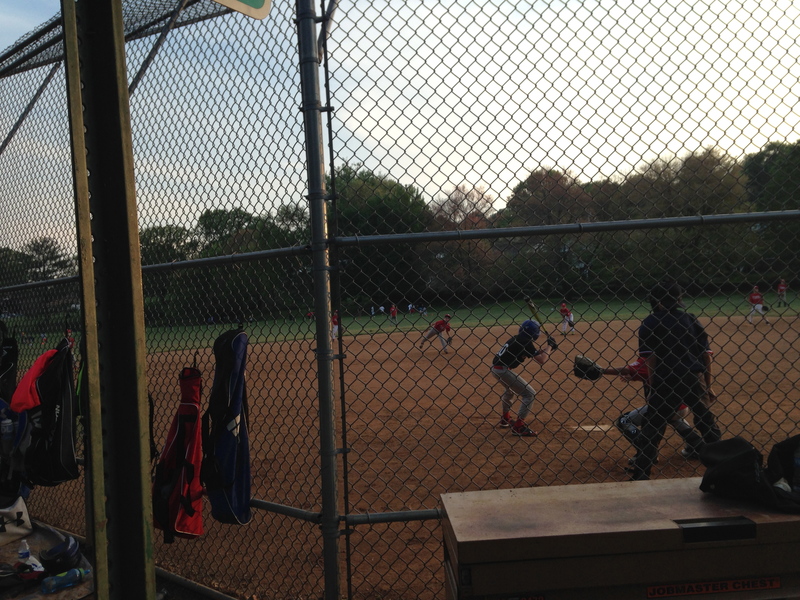 This is a great neighborhood where I have helped people buy and sell townhomes. Questions? Just ask. 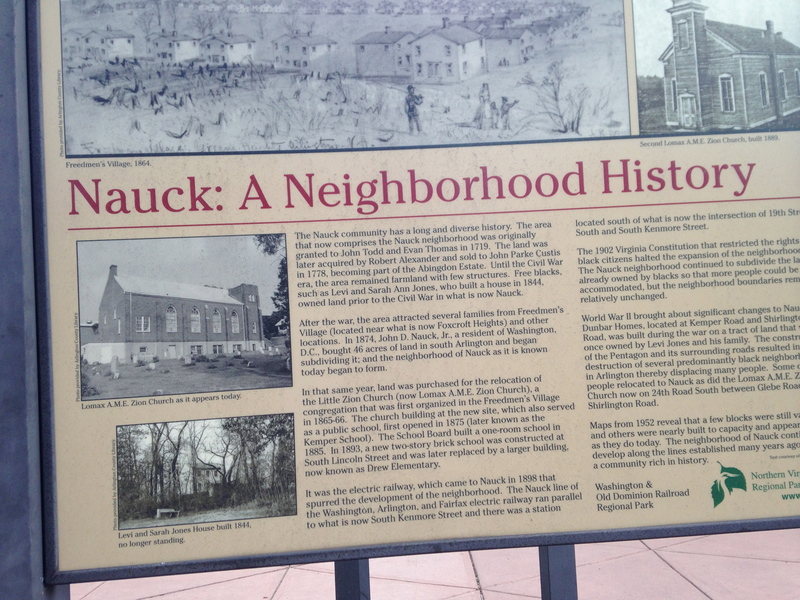 The Nauck neighborhood was the original name for the area surrounding the trail head of the W&OD. 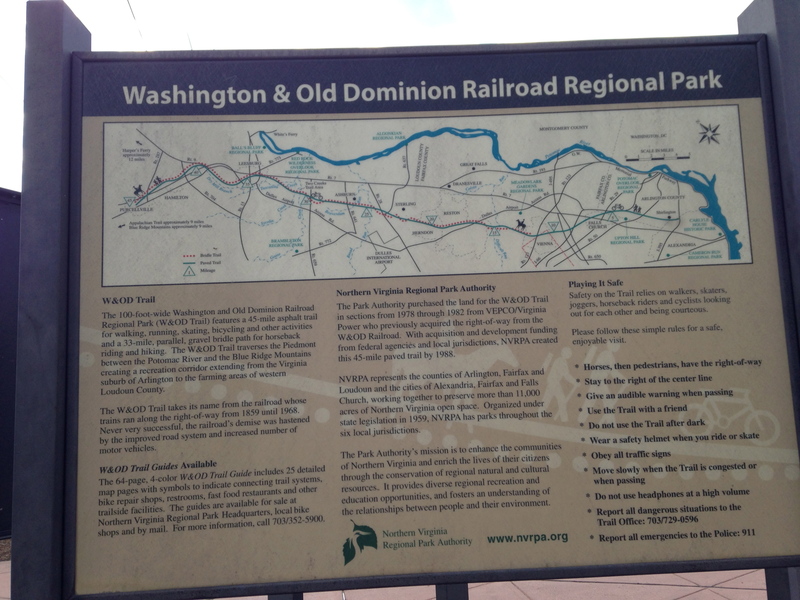 Information on the W&OD which you can ride all the way west to Purceville. We’ll do photos of that one another time. I would love to hear about your great rides. Comment below. Let’s ride!